The breakfast provided was ample offering a wide selection! Fresh fruit, yoghurt, pastries and cold meat and cheeses. Elina made the most delicious scrambled eggs which was one of our favorites. She offered to cook some especially for us! 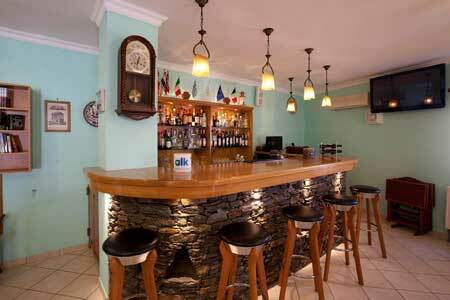 I loved the ALK Hotel Bar Terrace with happy hour and the beautiful view of Kamares Bay. The patio where we ate breakfast had a great view toward town and over the bay. Breakfast and view was excellent. The rooms were clean with good air conditioning, safe and plenty of storage for our clothes. Alex the owner, his wife and staff were excellent and attended to all our requests. The location is perfect. Close to all the action, but set back and quiet. 2 minute walk to the beach, and up on a hill with a stunning view of the port. 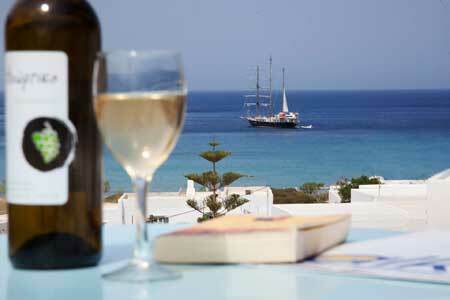 Built with great love and care according to the Cycladic style and an ornament for the port of Sifnos. ALK Hotel location is ideal because it is only 100 meters from the beach of Agia Marina which is the cleanest on the island 400 m from the center and 200 meters from the restaurants bars shops. ALK Hotel has standard double rooms honeymoon suites superior superior plus apartments with kitchenette family rooms with sea or mountain view and rooms for amea. All rooms are fully equipped with all amenities offering high quality services. You can enjoy your coffee a drink or a snack overlooking the cosmopolitan port sunset. ALK Hotel has private parking breakfast buffet and transportation services massage services as well as rent a car & bike at the best prices for our customers. 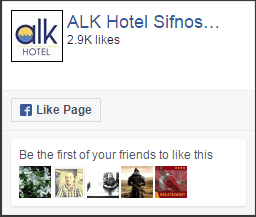 The ALK Hotel “Kastrinakis” is open all year and we are happy to welcome you and serve you.